Depending on where you live, many businesses and vehicles that pass through can make loud noises. This can be disturbing for you if you’re trying to relax on your back patio. After all, one of the advantages of owning a home is to have a private outdoor space to enjoy, but noise from around your property can really cut into the pleasure you find in being outdoors. But you can use your landscaping to your advantage in this particular situation. Putting together a number of different landscaping elements that not only look great in the yard but block out the noise can be beneficial as well as attractive. So create a quieter home and yard just by adding a few things. Hedges: These are thought of as the ‘natural fence,’ and hedges help to keep intruders out, while maintaining your privacy. They can also hide any traffic that is seen on the streets, while also muffling out the noise that comes from it. Flowering and evergreen shrubs are the best for noise blocking. Pine trees or other evergreen shrubs such as arborvitae are generally used to block out the sounds from highways. You’re able to soften the look of your landscape using hedges, while also creating a screen or wall to block yourself in from the rest of the noisy world. You’re able to choose from boxwood, yew, honeysuckle or lilac. Keep in mind that these ‘living fences’ will require regular upkeep, especially pruning, to keep them looking good. Sound Barrier Walls: Sound barriers are usually made from stone or concrete. They are very effective at blocking out noise from traffic on the roads. 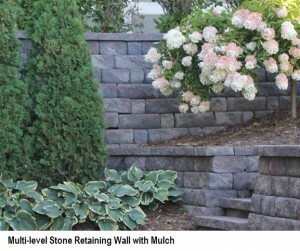 However, you do not have to have a giant stone wall around your landscape. 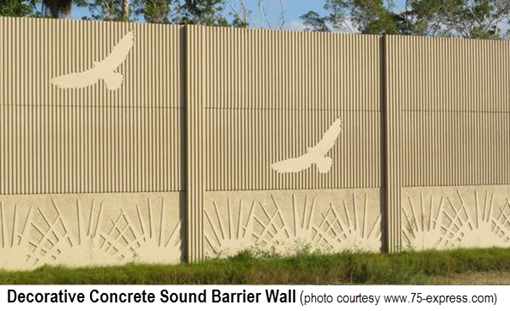 You can choose from many different hardscape materials to create a sound blocking wall. 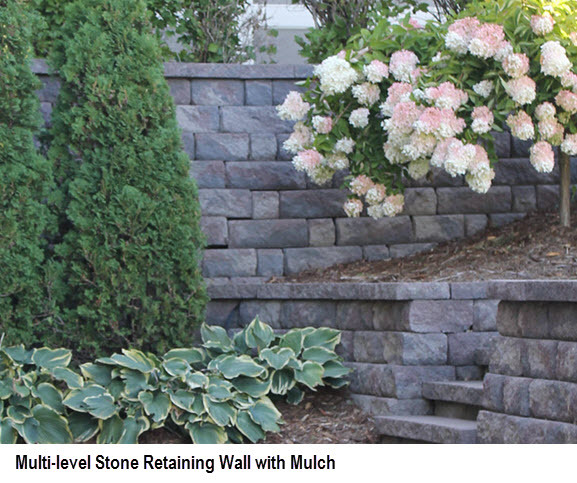 There are border stones as well as patio pavers, interlocking masonry, and decking and other stone options. Just add plants and other decorative landscaping elements and the mix of can look great, while blocking out the sound. Add a fountain or mini-waterfall to your wall area to create a tranquil sound – softly flowing or bubbling water creates ‘white noise’ which is terrific sound blocker. Fences: If you have a fence that is made from a solid material, this by itself should be able to block out a lot of the sounds. Choosing a wooden variety of a fence such as a stockade style can often be a cost-effective way of blocking (or at least reducing) many sounds. You’re able to add some lattice at the top of it for added beauty, but it doesn’t take away from the sound blocking qualities. Add to the muffling effect by planting shrubs and small bushes around the bottom of the fence. If you’d like to give any of these options a try, or if you’re wondering about other sound blocking options – give us a call here at Architectural Landscape Design. We are a licensed MN landscaping contractor serving the greater Minneapolis area. We can work with you to develop and install the most an appropriate landscaping plan to add peace and quiet to your yard. In the meantime, if you’re looking for some inspiration, check out some of our fence ideas on Pinterest.